I really enjoyed your concert at B.B. King’s in New York on Thursday night. Thank you. We’re a little loose but we like to have a lot of fun. I hope that brought back some memories for ya. The first time I saw Cheap Trick was on KISS Kruise IV, just a few months ago. What was it like performing for a rabid group of KISS fans on the open sea? In addition to the Cheap Trick set during the pre-party, you got to do your acoustic sets, which involved your son and your daughter. Those were terrific. Yeah, that was really a lot of fun, and they enjoyed it too. That was only the second time I’ve been on a cruise. I’m not a cruise guy or anything. It was fun. 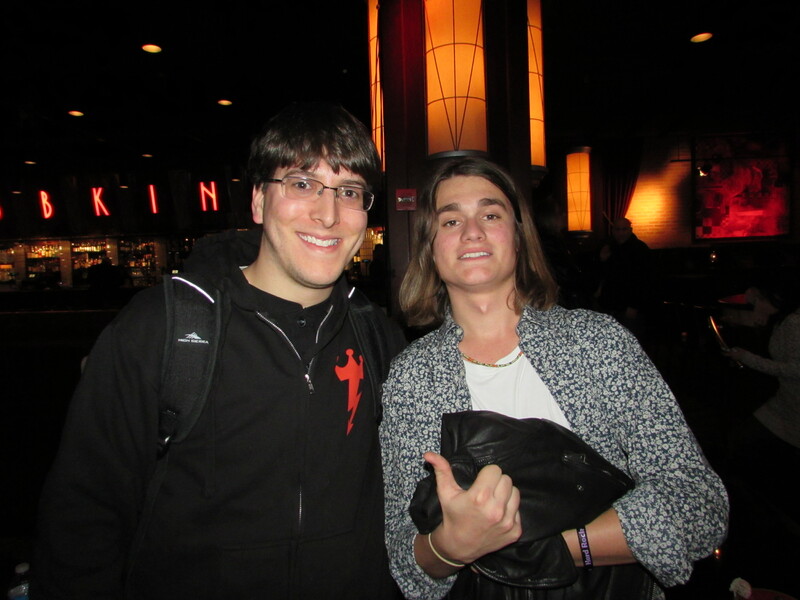 With Robin’s son, Robin Zander Jr., after the NYC show on February 5. What was it like working with Jack Blades on his Rock ‘N’ Roll Ride album? The song you guys wrote together, “Anything For You” was very Beatles-esque. Well, he had these verses without a chorus and I happened to be at his house. I forget why, but I heard it and said, “Well, I’ve got this chorus. Let’s do it with that chorus in mind.” He’s got a studio there, so we went in the studio and put the chorus right into the song. It was that easy. (laughs) I’ve known Jack a long time. It’s very easy to work with Jack. For you, what’s the biggest difference when it comes to performing with Cheap Trick versus performing with the Robin Zander Band? Well, the biggest difference is that Cheap Trick does original material. Once in a while we do a cover song. 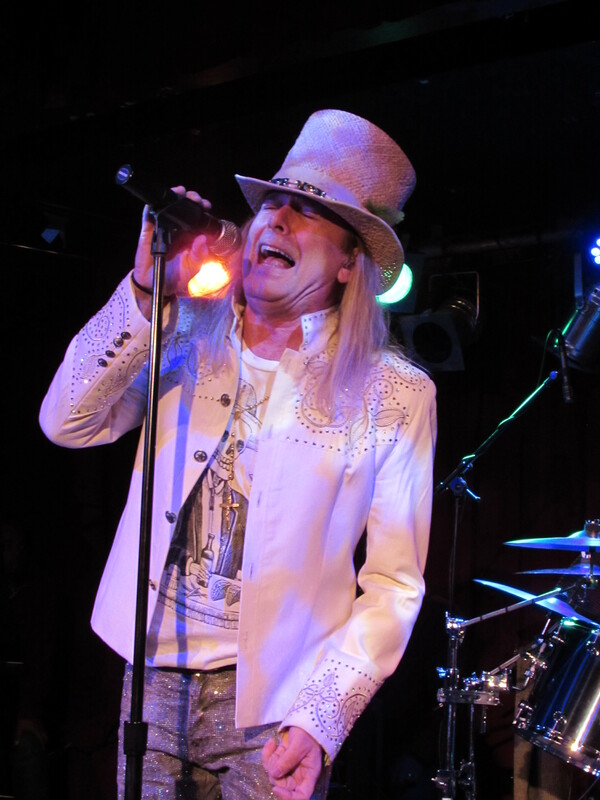 The Robin Zander Band does everything under the sun that everybody’s done, including ourselves (laughs). But it’s really cool because we’re all about the same age and we’ve all been in garage bands that learned these songs way back when, so it’s easy for us to put them together. 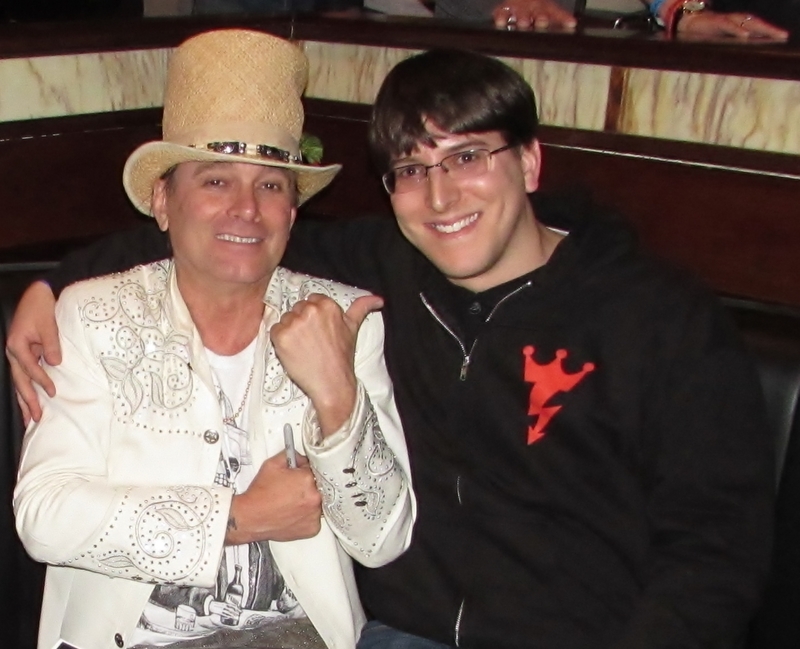 Meeting Robin Zander after his concert in NYC on February 5. How important is it to you for Cheap Trick to make it into the Rock & Roll Hall of Fame? Whether it’s Cheap Trick or the Robin Zander Band, you have an extremely passionate and dedicated fan base. What’s that like? I really appreciate it. These people have been following us around for years. It really motivates a band like ours. If there’s nobody to play to, it gets a little boring. (laughs) We have a great audience. What are you looking forward to the most about Cheap Trick’s upcoming tour with Peter Frampton? Oh, it’s great! Peter Frampton is someone I always looked up to. Humble Pie has always been one of my favorites of all time. Steve Marriott and Peter Frampton, that combination was just incredible during that period in time. It’s fantastic! What can I say about it other than that? You have a terrific voice and it still sounds great. Many rock stars who’ve been singing for decades can’t say the same. What do you do to keep it in such great shape? I lie about my age. (laughs) That works every time. The Robin Zander Band is a really tight band. Would you guys consider putting out an album? Well, we record live all the time. If we do a record, it’ll probably be a live thing. We take it as it comes to us. We don’t push the envelope. There’s no reason to. We play and we record all the time, and if somebody wants to offer us a record deal or something, then we’ll consider putting it out. Speaking of releasing music, should Cheap Trick fans be expecting a new studio album sometime soon? We’re already halfway done with it. We’re going to put it out probably sometime next fall. We’re halfway done with all the material, and it’s wild. (laughs) It’s wild!